We started our first unit on Constructive and Destructive Forces. During class we erupted “volcanoes” and discussed if they were constructive, destructive or both. Ask your child what the “Ring of Fire” is. Put 3 large spoonfuls of baking soda into the cup. Add water until the cup is half full. Stir. Pour 2 cups of vinegar into the soda bottle or other container. Add 2-3 drops of food coloring and a squirt of liquid dish detergent. Place the soda bottle on the ground outside. Stir the baking soda into the water and quickly pour the mixture into the bottle. We also reviewed weathering and erosion. 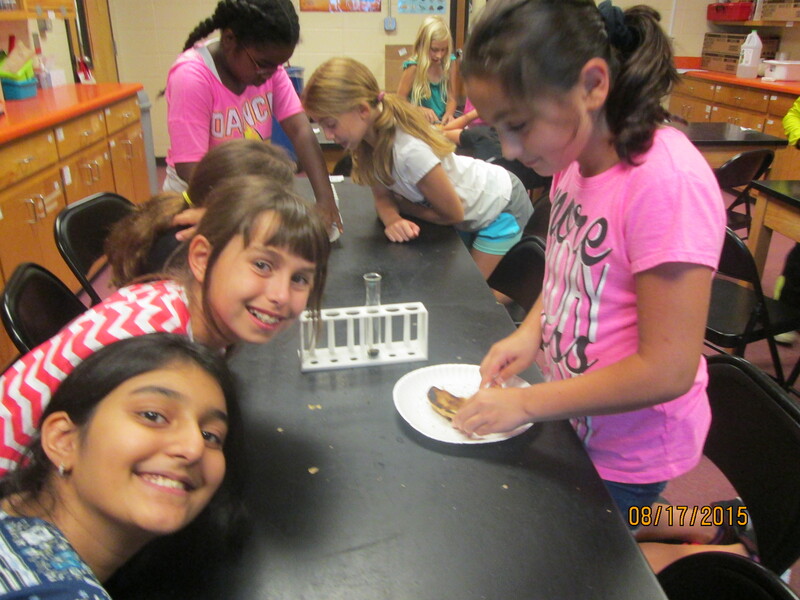 We used burnt toast to simulate weathering and erosion. The toast was our “Rock”. The students used a knife to break off crumbs. 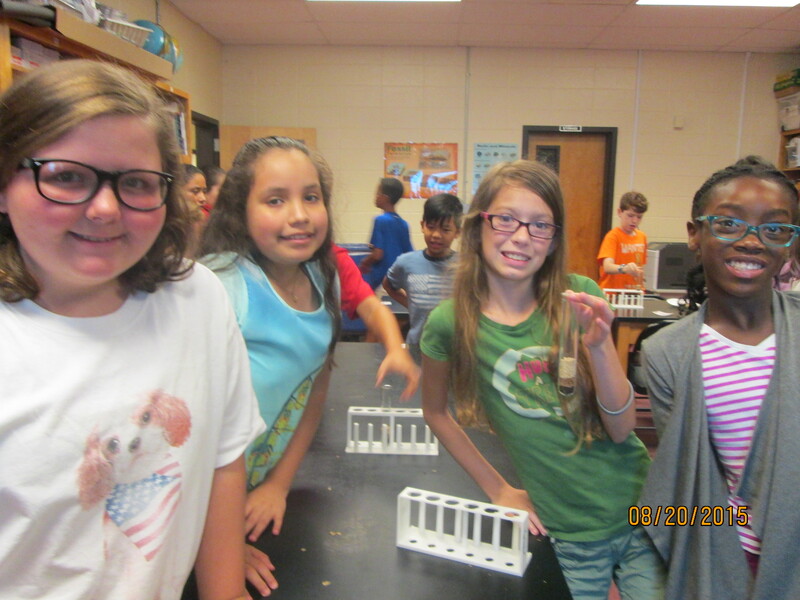 As we went through the activity the crumbs (or “sediments”) were poured into a test tube to show how layers of different sediments can form sedimentary rocks. Ask you child to explain what part of the activity represented weathering and what part represented erosion. Third grade’s first science unit is Rocks and Minerals. During our first lesson we learned about igneous rocks, sedimentary rocks and metamorphic rocks. Each student brought a “pet” rock to science lab and we learned what characteristics made our rocks unique from the other rocks. I met all of the Kindergarten students this week. We looked at a snake skin, a geode, a scorpion (don’t worry it was dead!) and a bird’s nest. We also had fun playing with the tornado tubes. This entry was posted in Uncategorized by Bridget Nastasi. Bookmark the permalink.